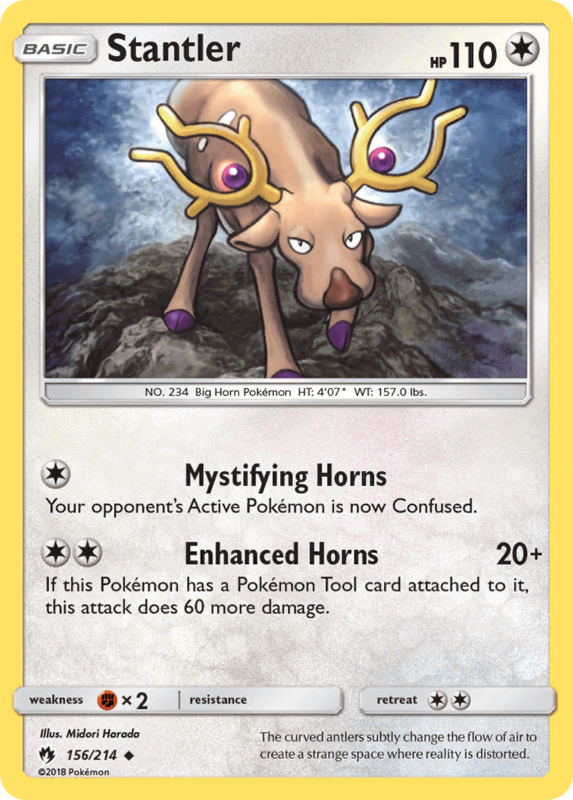 The curved antlers change the flow of air to create a strange space where reality is distorted. 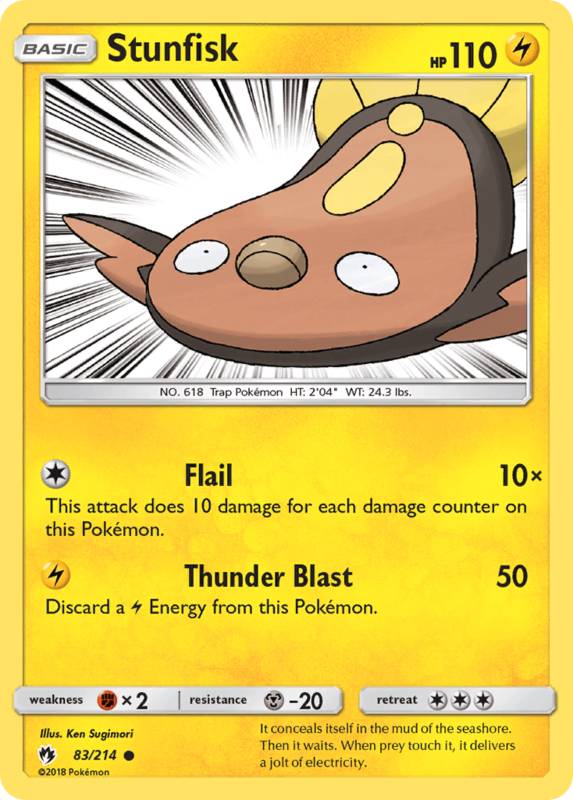 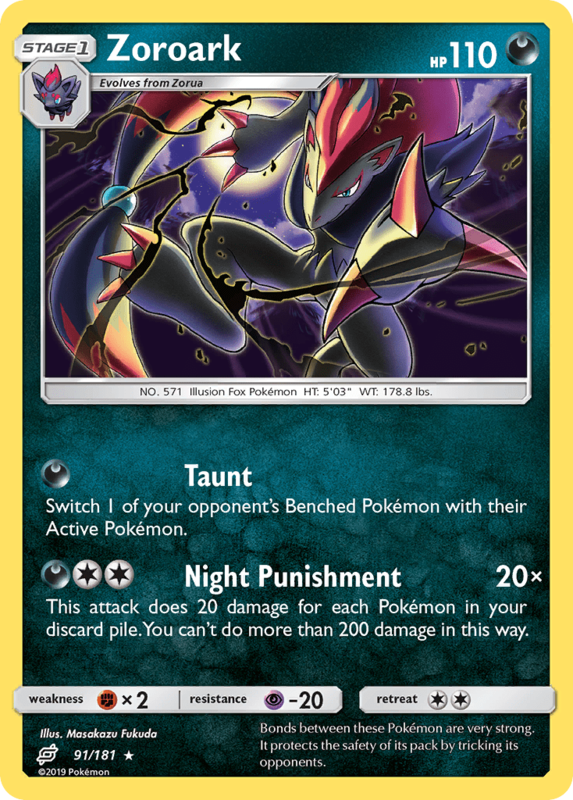 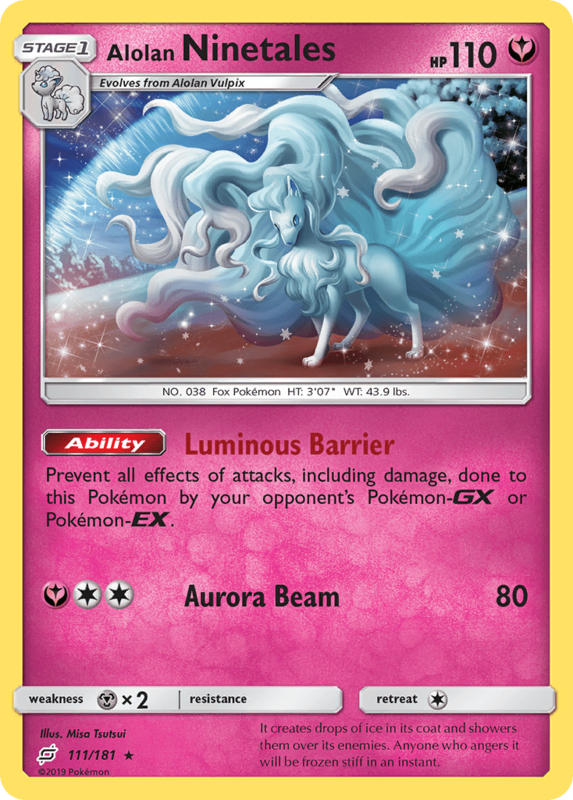 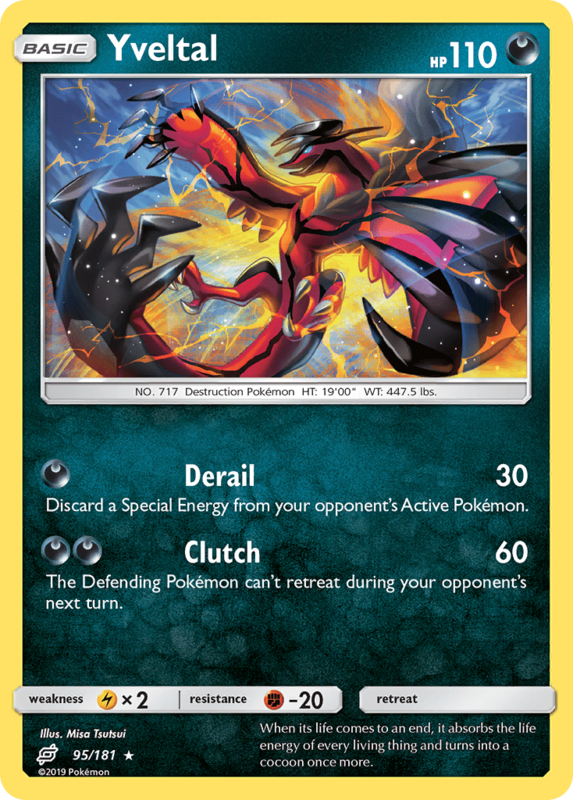 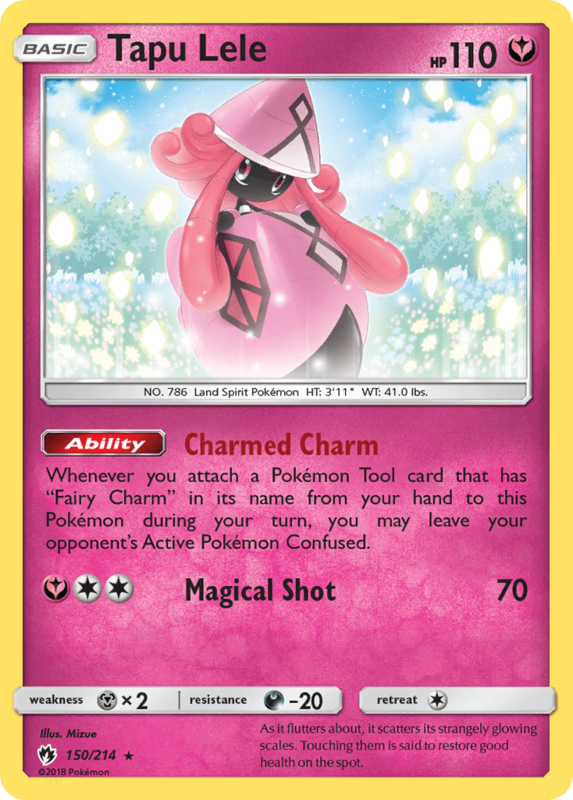 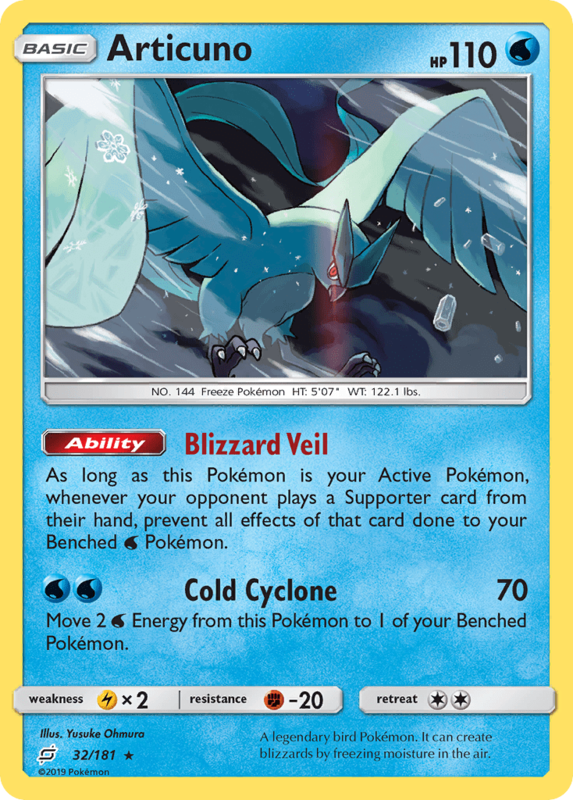 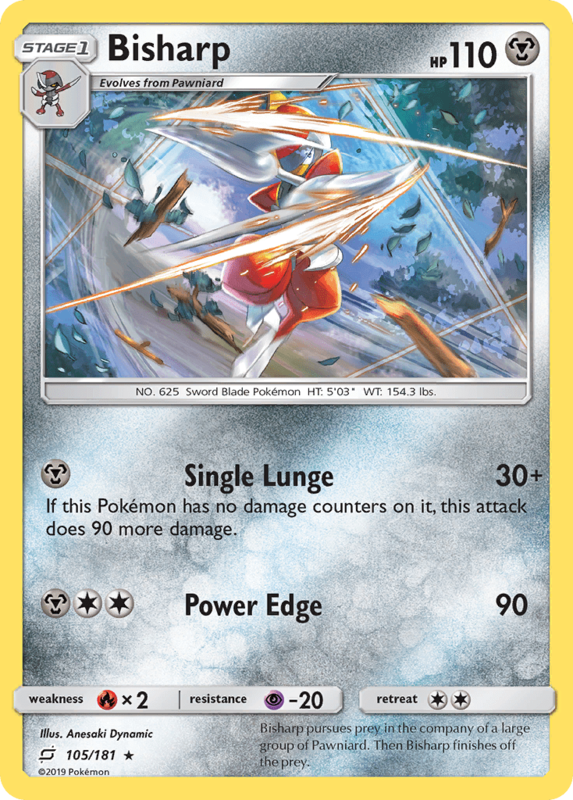 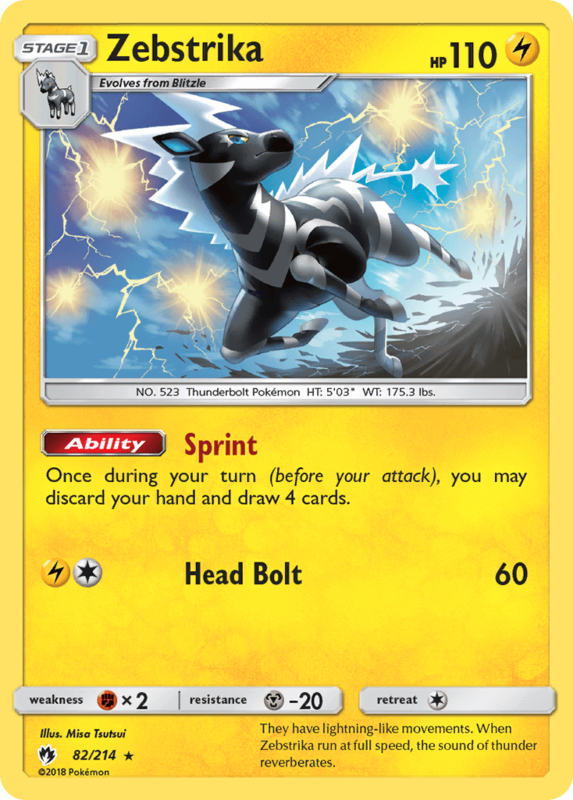 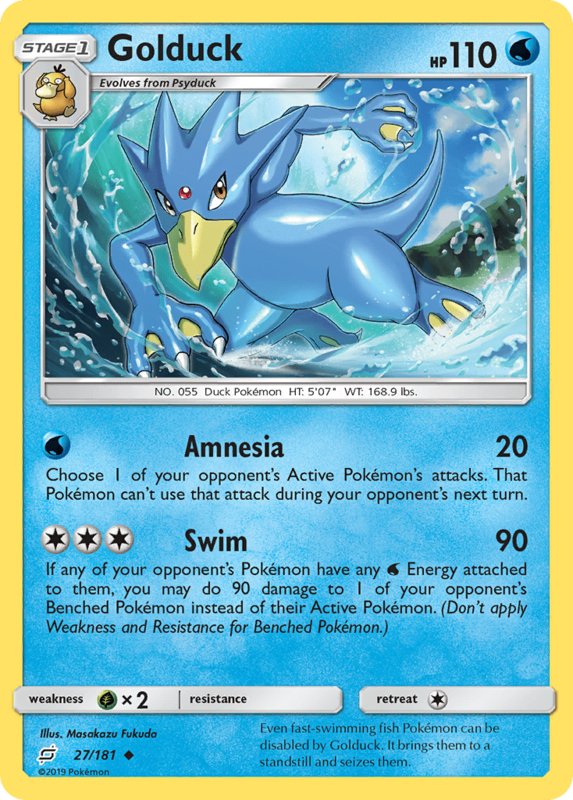 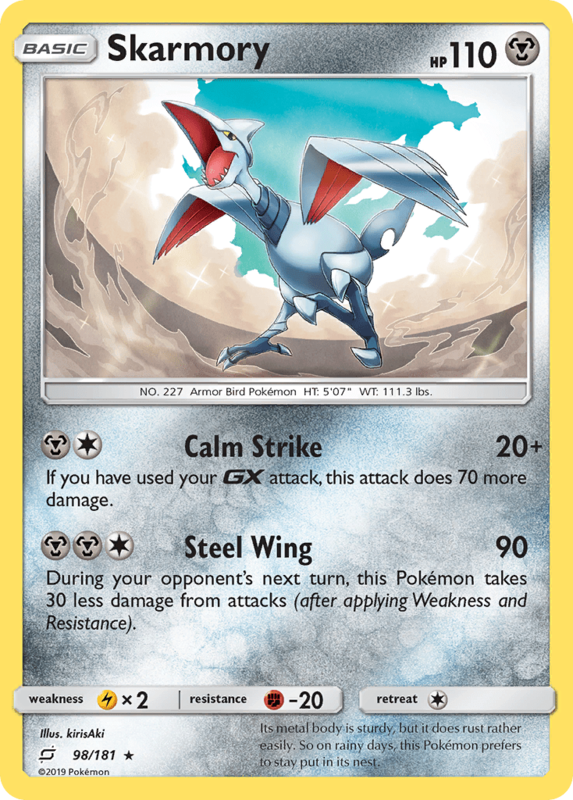 Whenever you attach a Pokémon Tool card that has “Fairy Charm” in its name from your hand to this Pokémon during your turn, you may leave your opponent’s Active Pokémon Confused. 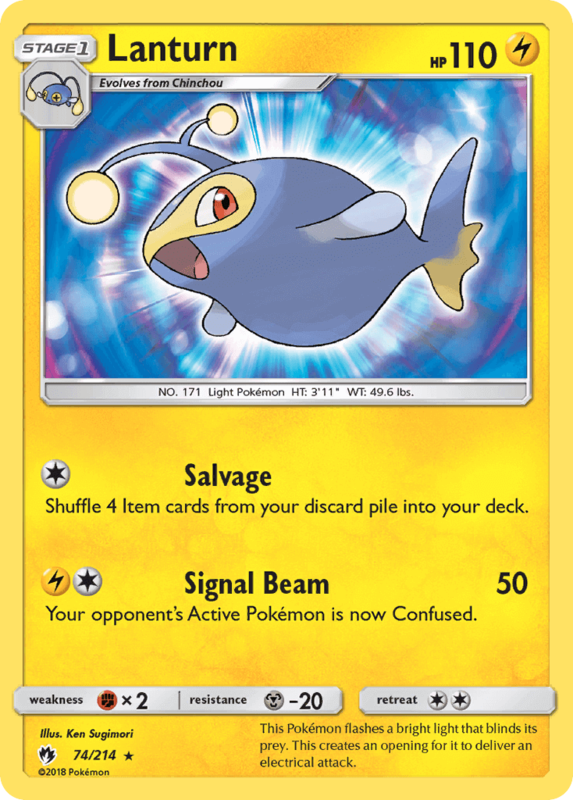 Put this Pokémon and all cards attached to it in the Lost Zone. 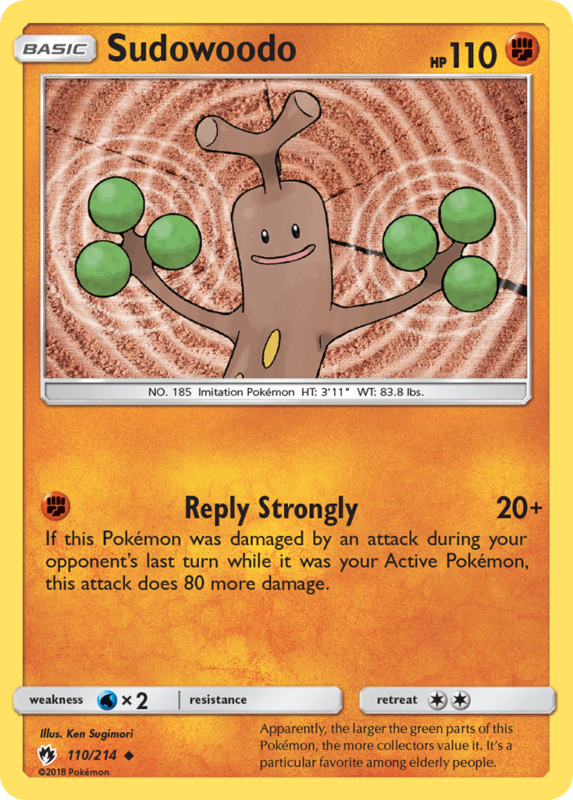 It remains immovably rooted to its tree. 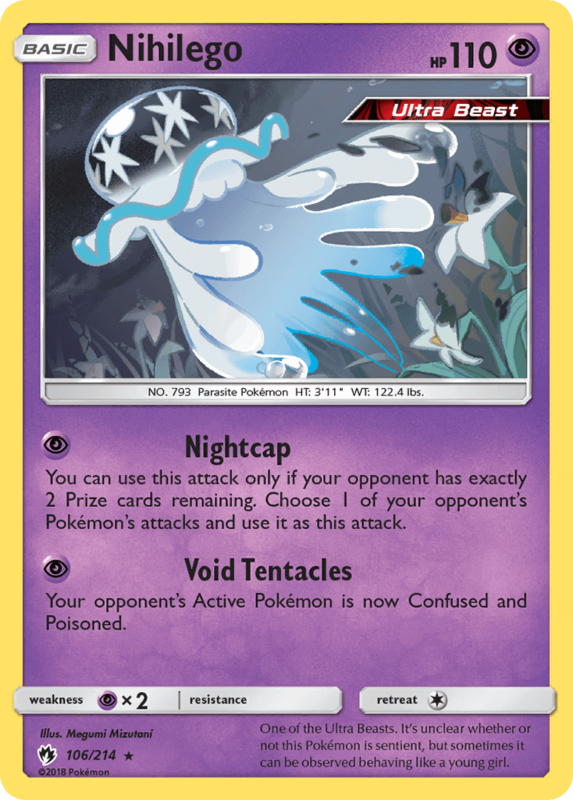 It scatters piece of its hard shell to drive its enemies away. 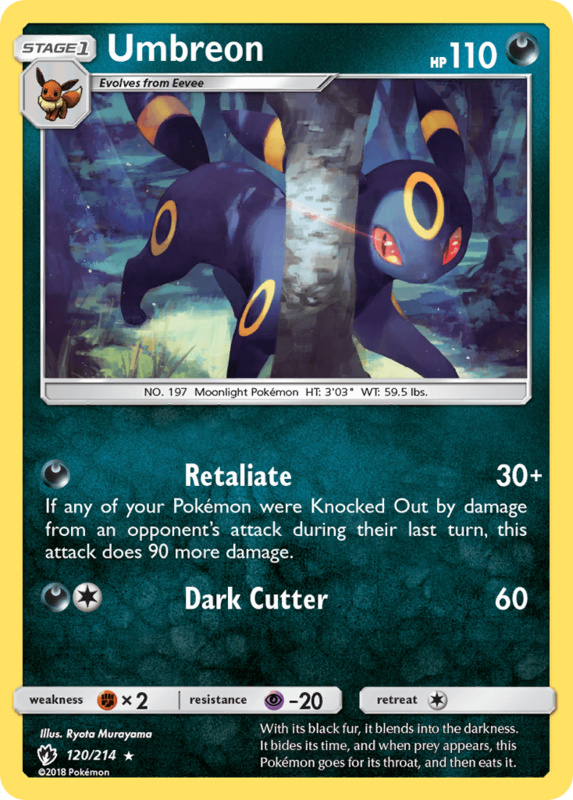 You can use this attack only if your opponent has exactly 2 Prize cards remaining. 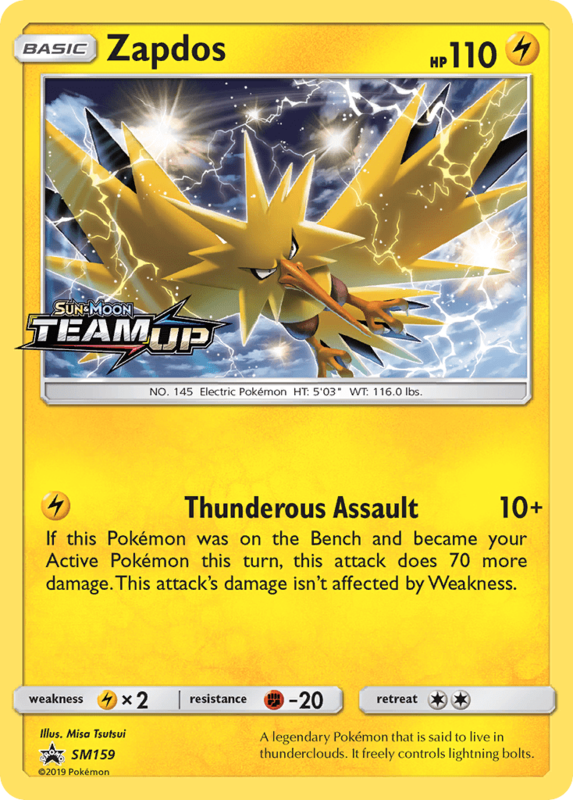 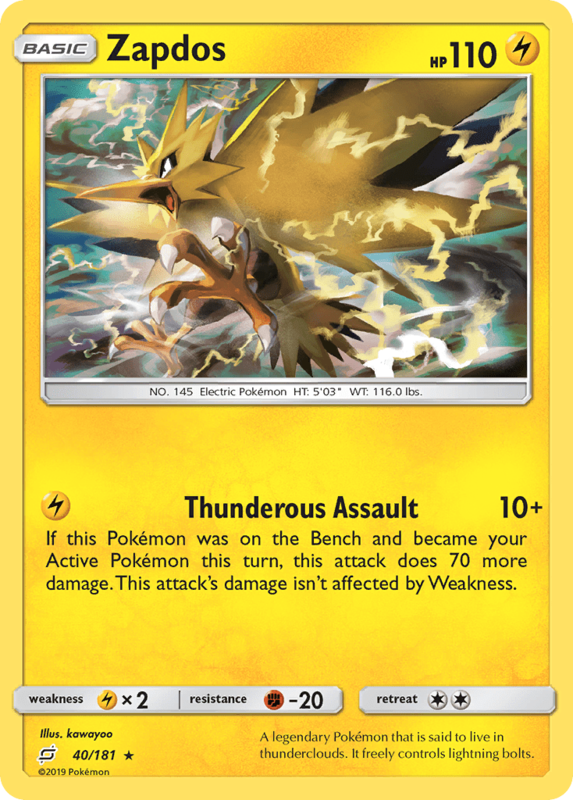 Choose 1 of your opponent’s Pokémon’s attacks and use it as this attack. 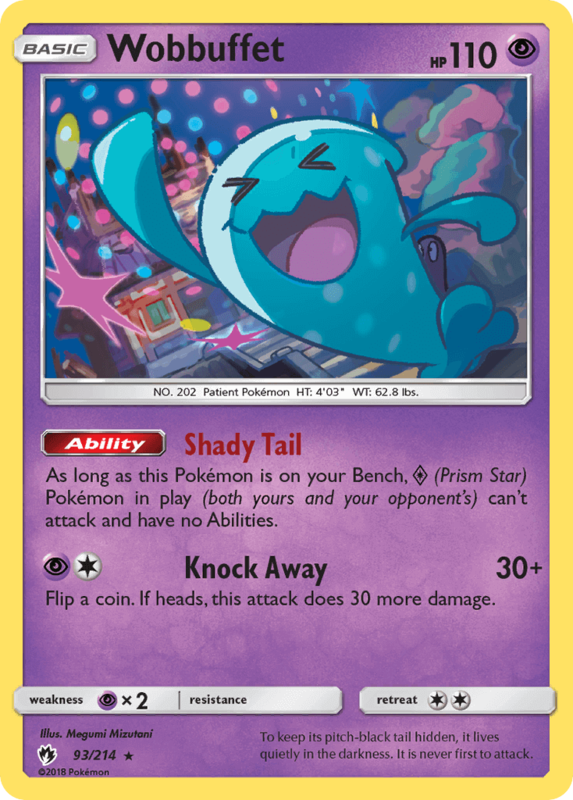 One of the Ultra Beasts, it’s unclear whether or not this Pokémon is sentient, but sometimes it can be observed behaving like a young girl. 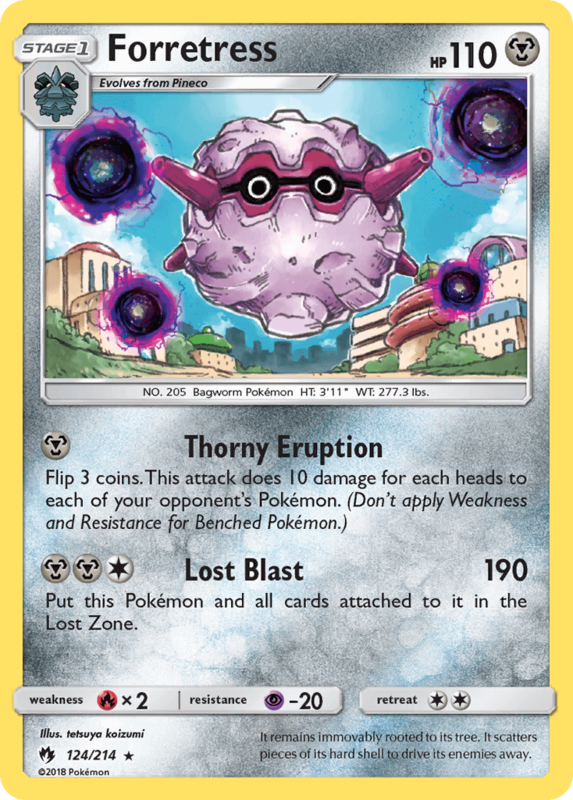 Discard a [L] Energy from this Pokémon. 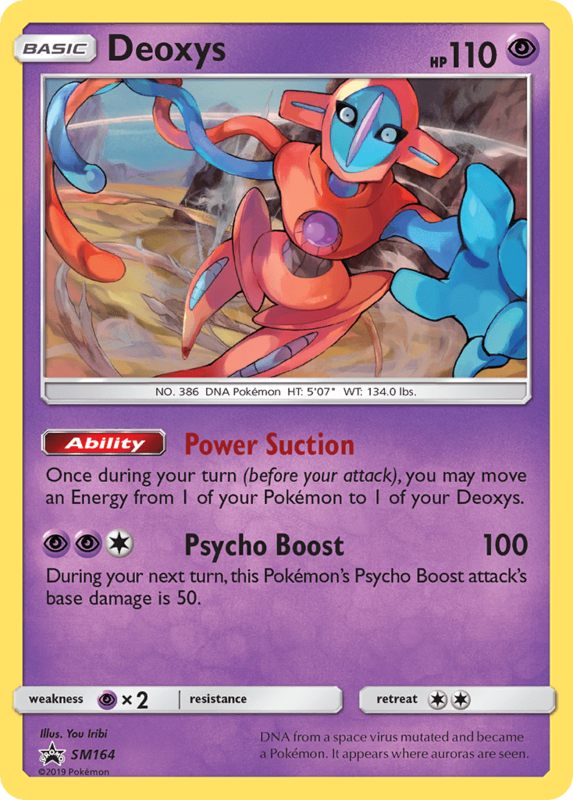 Shuffle 4 cards from your discard pile into your deck.